Welcome Home! 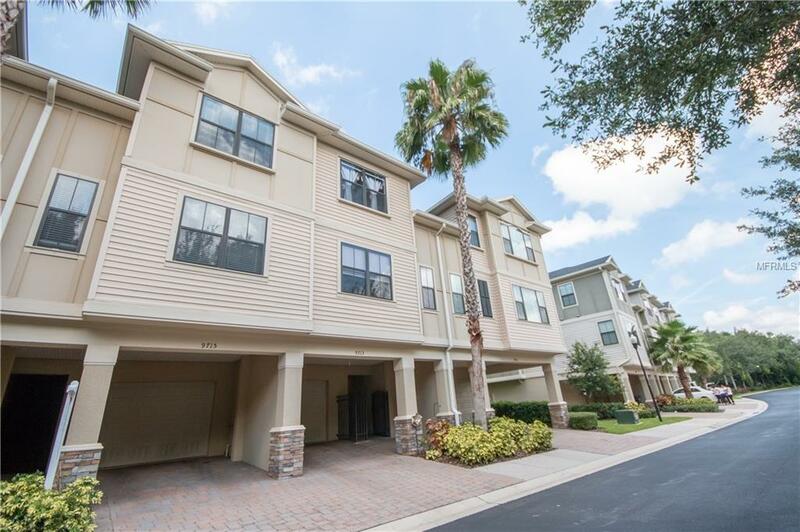 Don't miss the chance to own this BEAUTIFUL TOWNHOME located in the gated enclave of Pelican Pointe, backing to a conservation and Tampa Bay. This home features a TURNKEY 2 bedroom, 2.5 bathroom 1724 sqft. open floor plan with beautifully updated HARDWOOD FLOORS on the main floor. The kitchen features 42 ESPRESSO WOOD CABINETS, stainless steel appliances, LARGE ISLAND with appealing dark granite countertop. Open concept Kitchen-Living room combo. Upstairs you will find the Master suite with spacious walk in closet, dual sinks with granite countertop, private bath with garden tub and separate shower. Hallway nook functions perfectly for a home office leading to another full bath and guestroom. Screened in lanai off main floor overlooks a NATURE PRESERVE ensuring TOTAL PRIVACY making this lot the most desirable in the community. The driveway has brick pavers which leads to the tandem garage that fits two vehicles and the home is equipped with hurricane shutters as well. All of this plus a convenient location with easy access to Tampa International Airport, I-275, MacDill AFB, downtown Tampa, & close proximity to shopping, restaurants, and beaches make this home a MUST see! Make an appt, today! Additional Lease Restrictions Buyer To Verify Please See Hoa Docs. Pet Restrictions Please Verify With Hoa/Prop Mgr. Listing provided courtesy of Southern Life Realty.